Creations For Parkinson’s, an official charity of The Michael J. 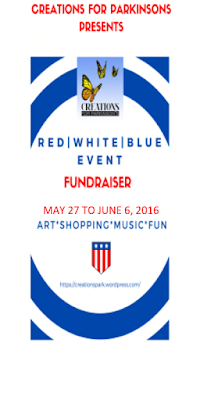 Fox Foundation, is pleased to announce it’s very first annual Red, White, and Blue event! 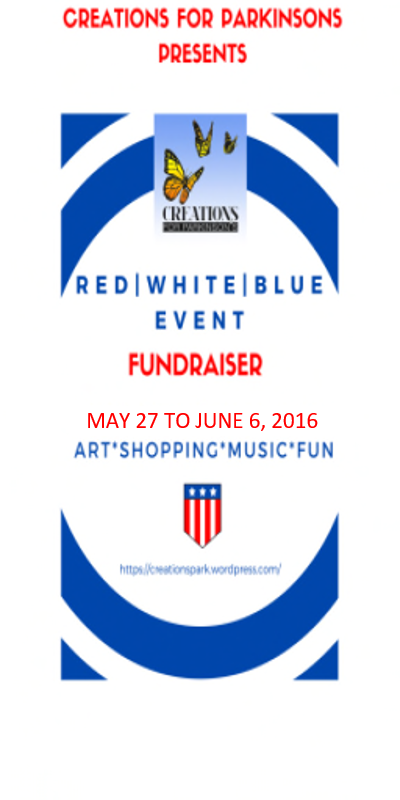 This event will take place from May 27, 2016 to June 6, 2016 and will include live djs, live performers, tribute concerts, an art auction, shopping, gachas, a hunt, and a special carnival! The event is sponsored by Windlight Magazine, Azul, and Chop Zuey Fine Couture Jewellery. The following merchants are participating: alme, Azul, Entice, KL Couture, Like Design, Meshopotamia, Miss Darcy, Paris Fashion, %Percent Furniture and Lighting, Spyralle, Tashi, TRS Designs, Whimsical Happenings, & Windlight Workz. A special art auction will feature work by the following artists: Barret Darkfold, Carley Noonan, Cherrycar Resident, Eleseren Brianna, Jamie86 Resident, Johannes1977 Resident, JolieElle Parfort, KodyMeyers Resident, Muse4u Resident, Myra Wildmist, Otcoc Resident, Rage Darkstone, Rinzlerkitty Resident, Sheba Blitz, Syphera Inaka & Theda Tammas.